Santa's Mail Man | The Kids Beat | Kids VT - small people, big ideas! If your kid writes a letter to Santa Claus and he sends one back, you might want to thank Mark Perry. The children's book author, who has a house in St. Johnsbury, helps Mr. Claus with his correspondence. In his new picture book, 'Post' Mark: Santa's Misfit Postman, Perry explains how he traveled to the North Pole and met Santa. Turns out Father Christmas needed some help answering his mail, so he asked 'Post' Mark to help him. Parents can now pay Perry a small fee to ensure delivery of one of Santa's merry missives. Order one by December 15 to have it postmarked from the North Pole. 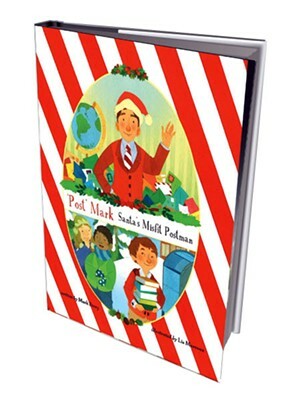 "'Post' Mark: Santa's Misfit Postman": Delor Francis Press, 28 pages, $15.95. Find more information at northpolepostman.com.